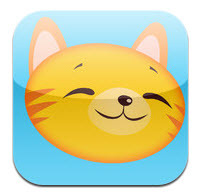 This month, all of my posts will be about some of the free apps on my iPad and how you can use them in therapy. So today, the first day of Free App February, I will show some apps for your readers. 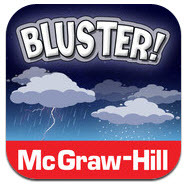 Bluster, by McGraw-Hill School Education Group, is my favorite of their many apps as it covers so many language goals. Bluster is designed for grades two to four, but is not babyish and could even inspire older students with vocabulary needs. Match rhyming words, prefixes and suffixes, synonyms, homophones, adjectives, and more. Students can play individually, together, or compete against each other. Lil' Kitten Shopping Cart Game by PODD Corp - Show understanding of food groups and the concepts more, less, and equals as you shop with Lil' Kitten. Students could discuss best prices, location of foods, and more. A good way to measure carry-over of language skills and phonemes in spontaneous speech. 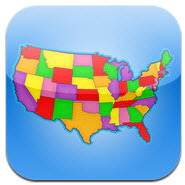 States Fun - Learn state capitals and practice structured or spontaneous use of target phonemes. Every state and capital pair has at least one /s/, /r/, and/or /l/ except Cheyenne, Wyoming and Des Moines, Iowa.